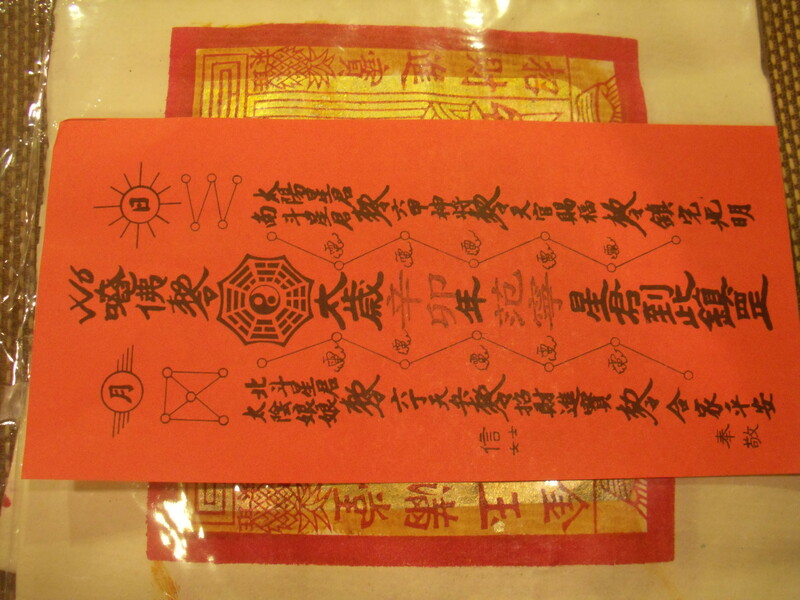 Last February, I participated in a Tai Suiey Deity for the first time. I was invited by Princesse of Ying Yang Shop of Harmony at the Mandarin Hotel. 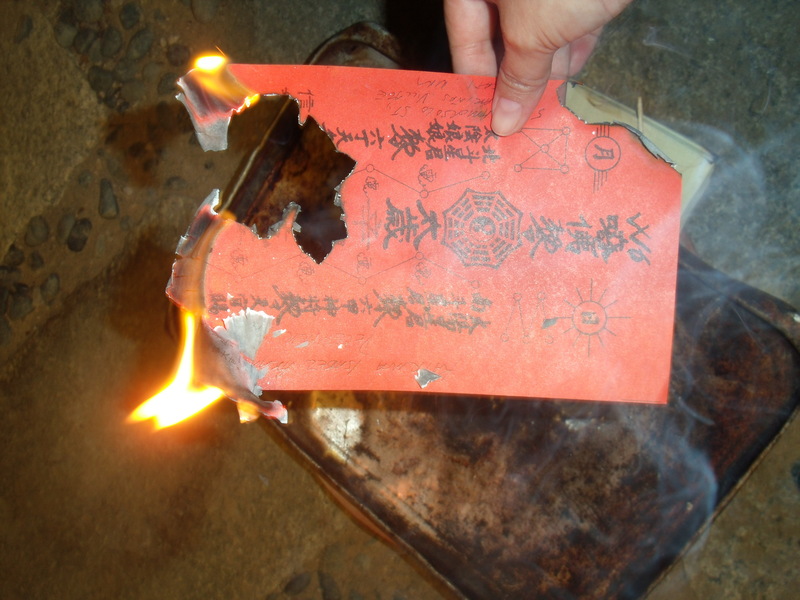 The date was February 27 and the whole ceremony involved a process in which an offering was given for protection and safety for the entire year of the Metal Rabbit. Master Chan was invited from Hong Kong and apparently this was his 11th year of doing this in the Philippines, although its something that has been used in China for centuries. 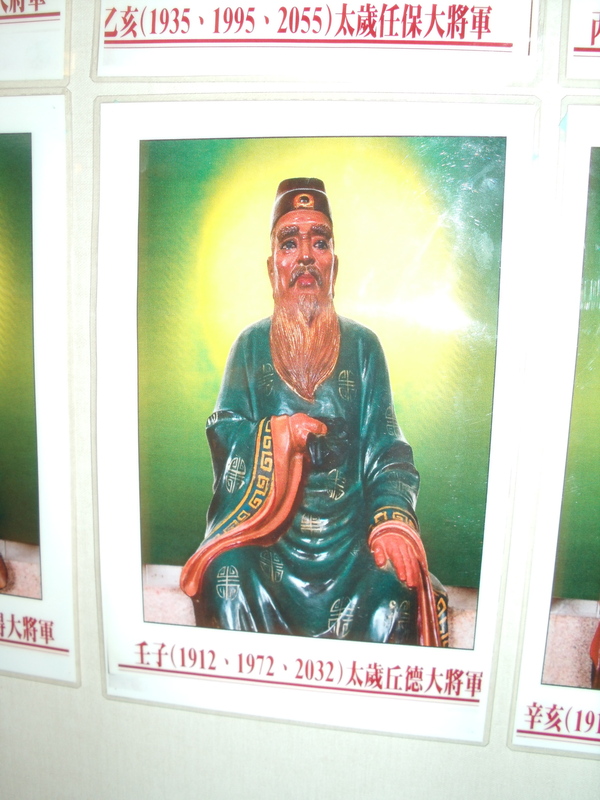 Tai Suey is the Grand Duke, or the Grand Deity, and the belief is, if you displease him (by opposing him) he will bring upon illness to you and your home. This year he is situated or will affect the Earth at 90 degrees East. It is recommended that one should not sit in the East side of one’s home or office and also refrain from construction or any loud noise or disturbance to happen in the East. So, what does the ceremony involve? It consisted of a red thanksgiving paper (which you should post across the main entrance of your house for a full year), another red paper (to burn) and KIM…which is the gold money paper. 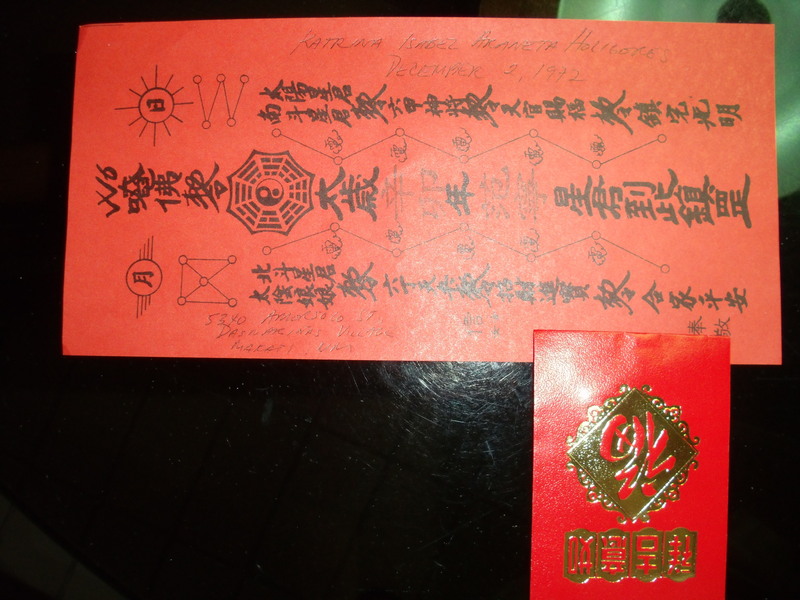 On the other red paper, you’re supposed to write your personal details and ask for protection, good health and prosperity for the whole 2011 Year of the Metal Rabbit. If you represent a family, then you, as the head, can ask for this for everyone in your household. One red paper per family though was what I was told. When we had our packs (yes there were many people who were gathered for their blessing) we went into a smal room where Master Chan conducted the blessing ceremony. I couldn’t take pictures of course, but it involved a lot of bowing (every time he banged on his singing bowl/ gong) and chanting in Chinese. Towards the end we were asked to line up in pairs and go to him for our blessing where he touched what seemed a wet leaf to our foreheads. We then went to the altar and had to turn our ceremonial packs over the offerings and incense three times counter clockwise. During the blessing, we were also asked to state our ‘wishes’ for the New Year out loud. Upon going home, I was instructed to place the Thanksgiving paper across my main entrance and remember to return it during the next Tai Suey Deity Ceremony. 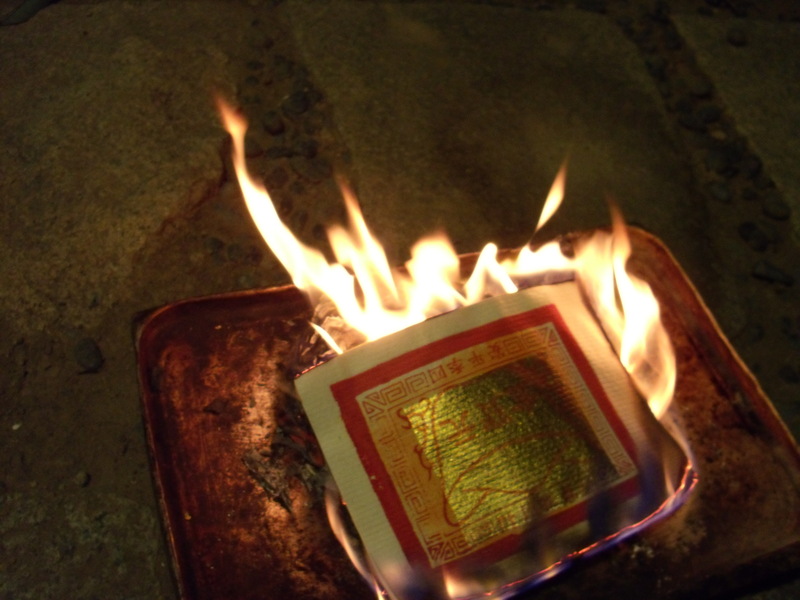 I was also asked to burn the other red paper and the KIM, from smallest to biggest. The burning took a bit of work because there were a lot and I couldn’t find a container big enough. They recommended a tin can, but we didn’t have one, so I settled for an old clay pot and baking tray. Next was the KIM which took a while, and it got really hot. I felt like I was cooking at some strange barbecue as I saw the flames and smoke and used a stick to “stir”. 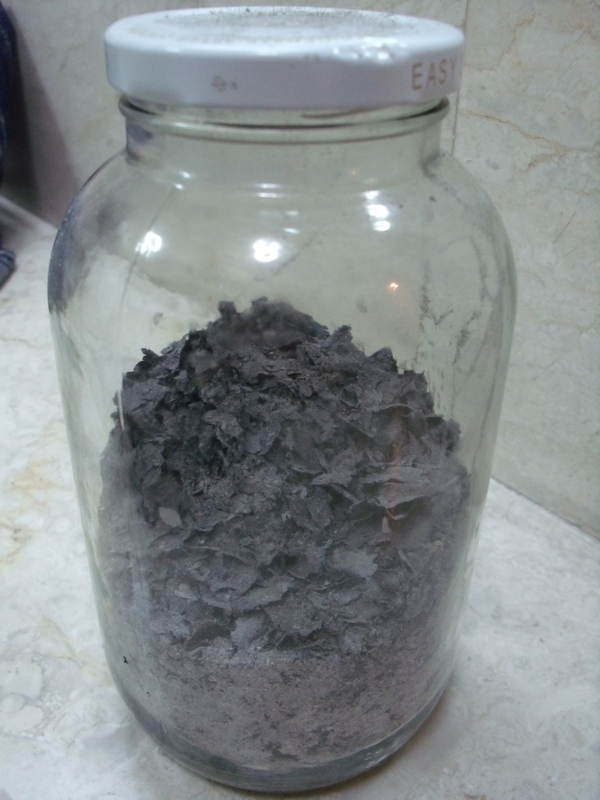 So, finally after about 30 mins I was left with a whole lot of ash. The next instruction was to keep it for seven days, and after the seventh day (in my case, March 7) I was to scatter the ashes in the garden, an open field, or a potted plant. I chose to scatter the ashes around my house in order to ensure the safety, protection and prosperity of all those residing in it. 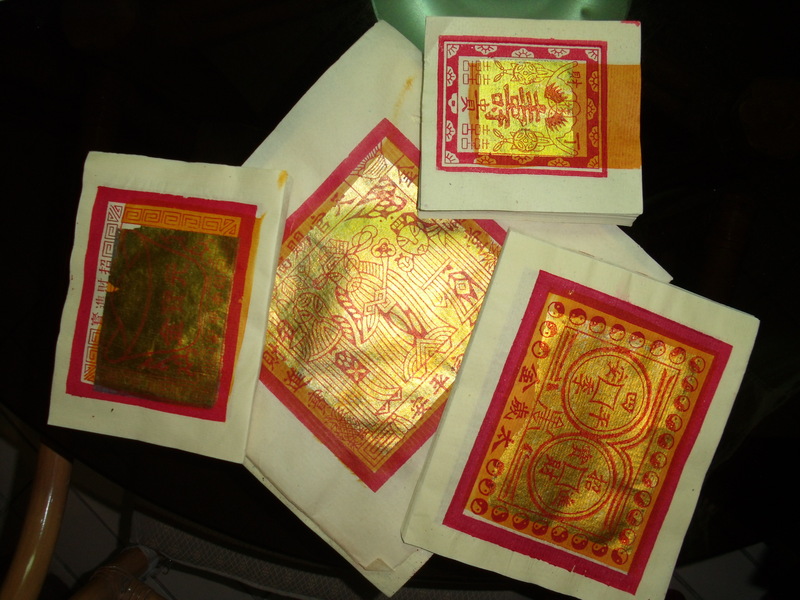 Will keep the Tai Suey Fu ampao that was given to be burned next year, in January 17, 2012 and the safety medallion wherever I go. Apparently, the longer I keep it with me, the more potent it becomes. Maybe I will see you all at the next ceremony!